You can buy the Revo SuperSignal from Amazon at around £179. You can also buy direct from the manufacturer, Revo. 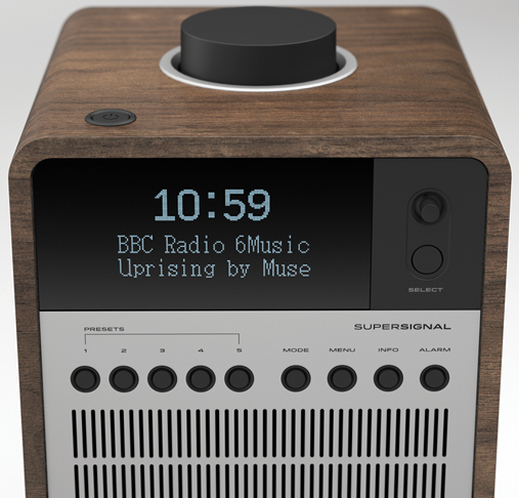 Revo's wonderfully built SuperSignal hybrid radio not only tunes into terrestrial DAB and FM radio stations, but gives access to thousands of stations from around the world streaming over the internet. You can also stream music from your smartphone using the latest Bluetooth aptX profile, giving CD quality sound from the SuperSignal (assuming you've high quality mp3s stored on your 'phone). There's no dock connector - so all Android, WindowsPhone and Apple iDevices are welcome; they can either be connected by a 3.5mm audio jack or via Bluetooth. DAB broadcasts (including the DAB+ standard, which several countries abroad prefer to use), FM and internet radio stations (including "listen again" and "podcast" content) can all be accessed - the SuperSignal uses the reliable Frontier Silicon portal to look up stations' streams. A little joystick in combination with other, clearly labelled buttons help you navigate various options, with 5 direct-access preset station keys offering a useful shortcut to your favourites. 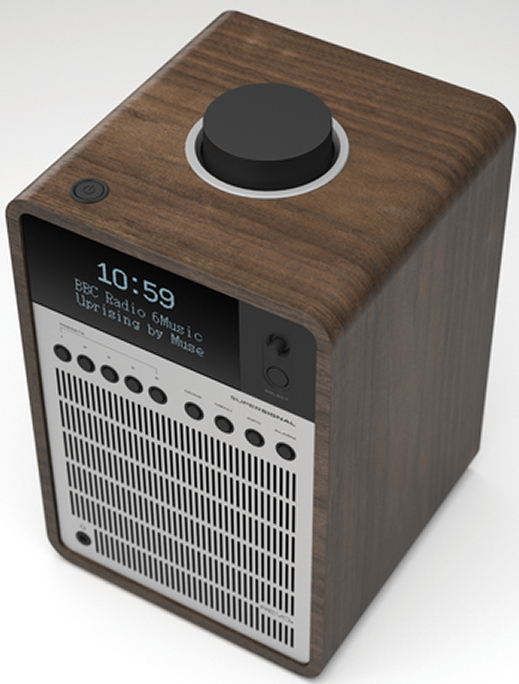 One distinct advantage of an internet radio is that you don't have to wait for DAB broadcasts to begin in your area - simply use your home broadband connection to stream your favourite stations over the internet, or look up thousands of other stations covering all genres from around the world to get your jazz or soul fix. Finished in a furniture grade walnut, the SuperSignal is no meanie on audio volume, with 10 Watts through its class D amplifier and Balanced Radiator (ported) loudspeaker technology, providing enough power to fill a kitchen or midsize living room. A remote control, wi-fi internet radio connectivity and alarm clock with sleep and snooze functions (just touch the aluminium casing to activate the snooze feature, if you prefer) makes the SuperSignal extra handy in either the kitchen or bedroom. In addition, a headphone socket, hi-fi quality line-level RCA phono and 3.5mm audio inputs are all fitted. Measuring in at 135mm (W) x 210mm (H) x 140mm (D), the Revo SuperSignal offers a sensible list of features in a well-crafted design. The Revo SuperSignal is priced at £180. Take a look in the left-hand column above to see where you can get one.